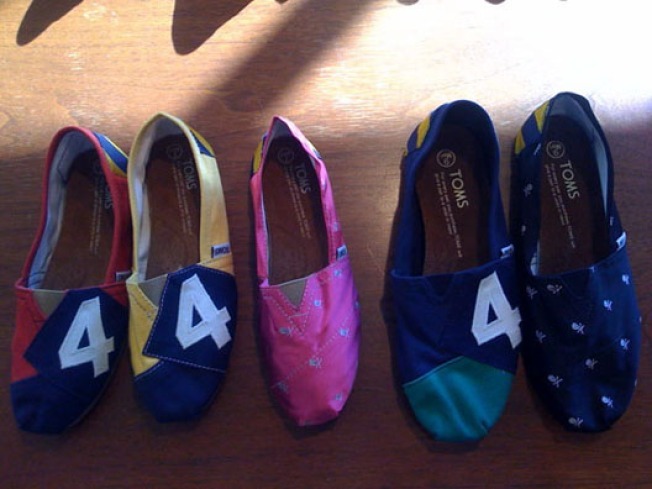 LA-based philanthropic label Toms Shoes is mixing things up a bit for spring. Fashionista previewed the collection and has lots to report, including a sturdier new sole of rope and rubber, a vegan range "which looks the same but lacks the leather insoles and details," the wrapped boots we've profiled previously, and a collab with Ralph Lauren "to create a handful of Rugby designs including a black pair wit h embroidered skulls and colorful striped versions with rugby numbers." This is a pretty big deal as "It's the first time Ralph's done a design collaboration outside his own empire..."